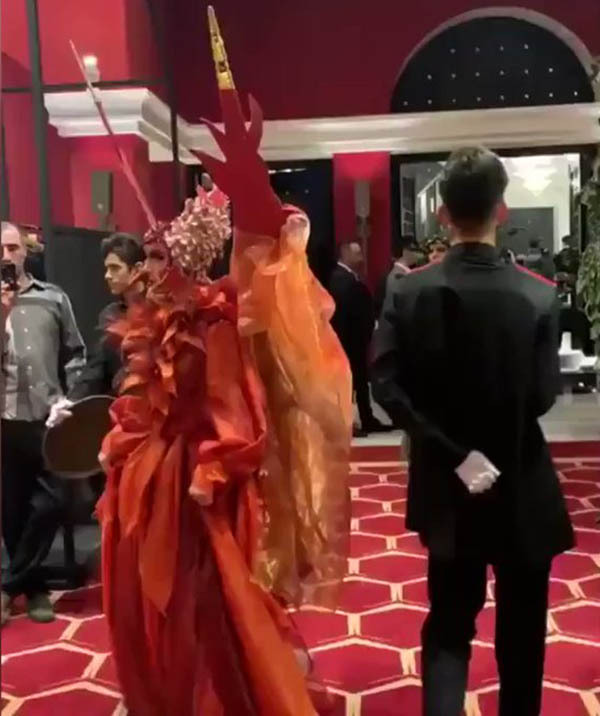 A hosting and catering center near Tehran, Iran has been shut down by judicial officials for hosting a fashion show March 1, after a video of the event was published on social media. The news website of Iran's conservative Judiciary reported on March 3 that authorities "will deal seriously with those responsible for this immoral event". The videos show that female models participating in the show were wearing hijab, but some conservative websites attacked the show saying some of the designs resembled "Satan-worshiping and Halloween ceremonies". At the same time Greater Tehran police chief, Hossein Rahimi told the media that the Sky Center hosting complex has been closed down and sealed. Mehr news agency reports that police has called in the individual responsible for the fashion show for questioning. An official at the Ministry of Islamic Guidance called the even "totally immoral" on March 2 and insisted that the organizers did not have a permit to hold the event. All cultural and social public gatherings in Iran must have a host of permits, including a license from the Ministry of Islamic Guidance. Mehr news agency also reports that the Instagram page of the organizer, which first published videos of the event has been blocked.